Two hundred years ago today, Pride and Prejudice was published. It’s amazing to think a book that was written so long ago is still so popular today. It’s also my favourite book so I had to mark the occasion with a post. That adaptation kicked started my love of all things Austen. I went to Winchester for the day and brought my first Austen novels – Pride and Prejudice, of course, and Sense and Sensibility. I loved the books as much as the TV show and I was hooked. I read all of her novels and became a fan – although I was less sure of Mansfield Park as we had to read it for English Lit A Level and studying a book sometimes lessens my enjoyment of it. Through the years I’ve re-read them all and what I enjoy changes each time, there seems to always be something new to discover. I have even learnt to enjoy Mansfield Park! 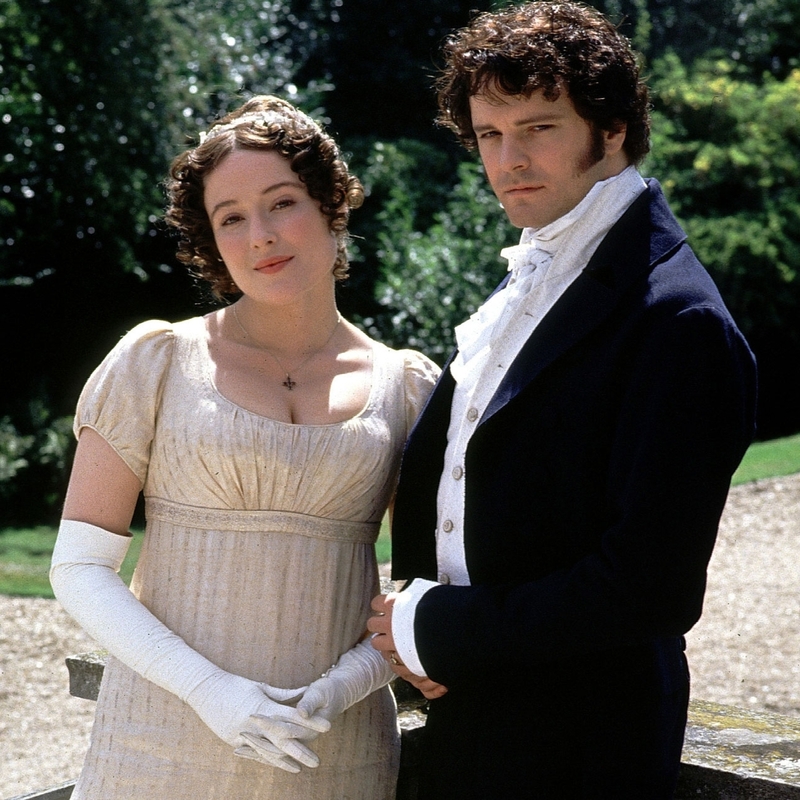 I have not only enjoyed the books and the numerous TV adaptations there have been of Austen since. I have also visited her house in Hampshire and marvelled at the pretty cottage where she wrote many of her books. I also went to Bath, where she lived for many years and which appears in her books. They have a museum there and the whole place seems steeped in Austen history. I am constantly fascinated by the world her characters inhabit. Yet my love of Austen always comes back to this book. It’s the one I have read the most and I love it as much as I did the very first time. It’s hard to explain why I enjoy it still. Perhaps it’s the study of human nature, the transportation back in time, the well rounded characters, the humour or the romance. Perhaps it’s the fairytale story of a love that sparks across social divides. Perhaps it’s the language. Perhaps it’s the wit and irony. Perhaps it’s the age-old story of opposites attracting. Most likely, it’s all of these things plus the mysterious X Factor that favourite books have. You can’t fully explain your love because love itself is unexplainable. So happy birthday Pride and Prejudice and thank you Ms Austen for writing it. You have given me the most enduring love of my life so far. Tell me – what’s your favourite book? Where to start? Lord of the Rings, Do Androids Dream of Electric Sheep, Friday, E.E Doc Smith books, The Forever Wars. I could keep going. I love Pride and Prejudice. Definitely one of my top 5. Didn’t know it was the anniversary, but I like that it has been so popular for so long. I approve of your taste! LOVE. Definitely one of my favorites. I also love P&P! One of my favourite books of all time is A Wrinkle In Time by Madeleine L’Engle. Something about it really resonated with me 🙂 I have also read and reread The Chronicles of Narnia. Yay! Oh haven’t read that one. Yes Narnia is a classic! Pride and Prejudice is great! I never really got into it until I saw the movie with Keira Knightly, but the book of course, goes in to much more detail with the story, so I love it! My favorite classic would be a split between Jane Eyre (a little more dark and mysterious than your traditional love story) and Great Expectations (which is a little disappointing in the romance department, but who can ever shake that image of Miss Havisham in her wedding dress?). How cool would it be to write a book that people are still reading and talking about hundreds of years later? Jane Eyre is like my second favourite book! Yeah can you imagine people reading your book in school? Weird but wonderful! Jane Eyre is my second favourite, both are excellent books! One of the greatest novels! Jane Austen is truly amazing! Amen! It’s weird – WH is one of the classics I just didn’t connect with. Maybe I should try it again!